Sidel Services Online web interface, part of the Sidel Services™ portfolio, is now integrating Options and Upgrades as a further extension of its technical capabilities. In addition, as part of its ongoing global roll-out programme, the tool is now also released in North America, enlarging its geographic availability beyond Europe and Central Asia. Beverage producers need to respond to the ever-changing consumer market while at the same time improving efficiency and cost-effectiveness. 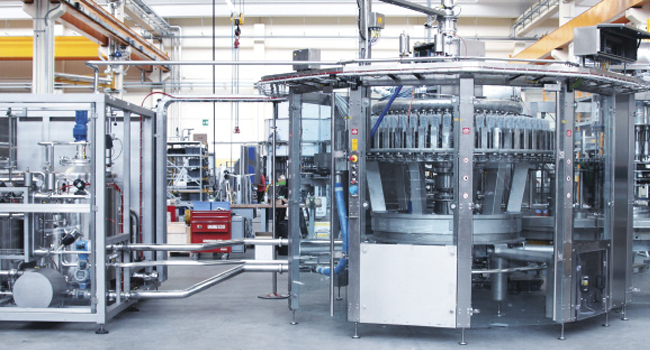 This constant pursuit of greater productivity and reduced total cost of ownership (TCO) has prompted innovative challenges within a liquid packaging industry in search of increased speed and sustainability. This is why the Sidel Services Online interface has been recently extended, now allowing registered users to search also for ‘Options & Upgrades’ relevant to their equipment and complete lines. As with spare parts’ identification and ordering capability, the new ‘Options & Upgrades’ section is customised to each producer’s installed base. Customers can choose the exact improvement that they want to achieve on a specific piece of equipment. Sidel Services Online will then propose the right Options & Upgrades for them to reach their specified objective on the selected equipment, supported by detailed fact sheets, images and information on pursuable return on investment (ROI) or added values. Then, the ordering phase will be finalised by contacting the After Sales Manager in Sidel. The new ‘Options & Upgrades’ feature on Sidel Services Online enables registered customers to boost product quality, to secure and future-proof productivity, to reduce environmental footprint and to improve the efficiency of their installed base over time. All of this via very easy and quick operations, just one click away. Pavel Shevchuk, Sidel’s Executive Vice President of Services, comments: “As e-business is massively invading our daily life, the digitalisation of services has definitely become a major need for our customers, as proven by the significant growth of Sidel Services Online. Since its launch, less than one year ago, we have seen the number of plants connected rapidly increasing. Now, with the introduction of Options & Upgrades and the expanded availability of Sidel Services Online to customers based in North America, we expect an even greater take-up”. The Options & Upgrades section is not the only feature recently added to Sidel Services Online to further align it to customers’ expectations on maximising uptime, increasing reliability and optimising flexibility: users can also now view their spare parts orders’ status for improved efficiency and transparency in the new “My business” section. Besides these latest developments, the interface provides one-stop shopping for easy and fast searching and ordering original spare parts, plus an intuitive overview of the customer’s installed Sidel equipment and access to all relevant technical drawings, manuals and parts lists for easy and accurate identification. The immediate 24/7 access can prove critical to continuous line productivity, while maintenance plans and safety lists ensure maximum uptime for better preventive maintenance planning, enhanced inventory management and increased visibility on budgeting. Besides benefiting from an efficient e-business interface, Sidel Services Online customers can always count on Sidel’s Parts Administrators available worldwide whenever they need to speak with their usual Sidel expert. Our purpose is to help brands protect the product inside, preserve the planet outside and touch the lives of millions of people every day. We do so by offering complete and modular PET, can and glass packaging solutions, including people, services and equipment. Sidel has over 165 years of industrial experience. With 30,000 machines installed in more than 190 countries, we have been helping producers fill beverage bottles for over 85 years, blow them for more than 50 and label them for more than 40. We have over 40 years of aseptic packaging expertise, and were one of the first companies to introduce PET bottles to the beverage industry over 35 years ago. Part of the Tetra Laval group, Sidel has offices worldwide, including 8 production sites and 8 training centres. All our experts are committed to creating the optimum liquid-packaging solution.